- Has been a member for at least one month. - Has posted at least 15 times. - Has completed one swap successfully before signing up for multiple swaps at a time. - Is not currently signed up for more than five swaps. - Does not have any negative feedback. - Participant has agreed that he/she is at least 16 years old. - If within the US, understands that Delivery Confirmation number is required for this swap. Good news everyone! 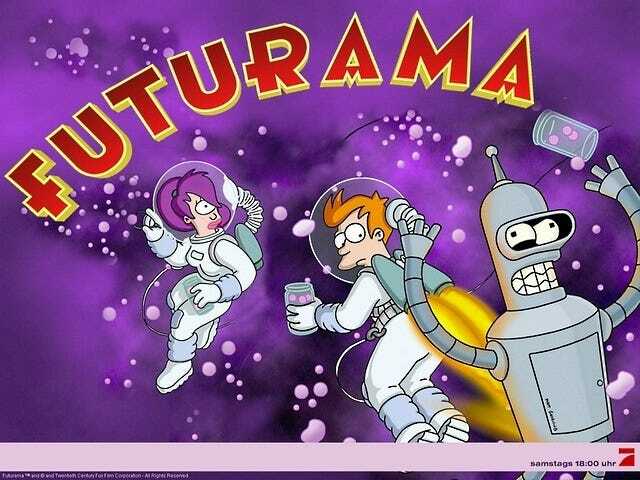 We have a delivery!....no wait that’s not it…..Its another Futurama swap! So grab a fresh can of Slurm, dust off the Smell-o-Scope and everyone do The Bender! Now isn’t that the perfect way to start off the new year?......I’m asking you a question Kif. This is my first time organizing so please let me know if I make any mistakes along the way. And do I need to say the obvious? Please no flakers, everyone keep in contact on a regular basis, all that jazz. Participants must check in at least once a week, by posting in this thread, and regularly keep in touch with your partner either by pm or on this thread. If your partner is within the US, you MUST get a DC and pm it to the organizer and your partner when you send. If outside the US, you need to send the organizer and your partner a copy of the mailing receipt. Feedback will be given after you send. Please try and post pictures once you recieve. If you don’t have a camera, please try to make arrangements with your partner so they can take pictures before they send and post them for you when you receive. This is a 5 point swap. One item must be medium or large. Have you watched the 4 movies and 2 new (comedy central) seasons? Is it okay if I sign up for my girlfriend to receive? I enjoy Futurama but she is an 'enthusiast'. She also loves crafted stuff I''ll get her to fill out the questionnaire and await your reply! I'd also have her expert opinion when crafting for my partner. Why do all the good swaps have to pop up at once? I thought id add this to the list of Futurama crafts. https://www.craftster.org/forum/index.php?topic=392351.msg4648981#msg4648981 Its a "girly" calander I made for he SO swap. Welcome to the swap avocadoeldorado and TwistedTruth! scarlet_nights thanks for the link, I added it to the list. That calender's awsome. Will be joining this, super excited, sending questionnaire in soon. All signed up. Adding to my wist, wish & pins.